I took a trip out to the new Jax Food Truck Court last week. 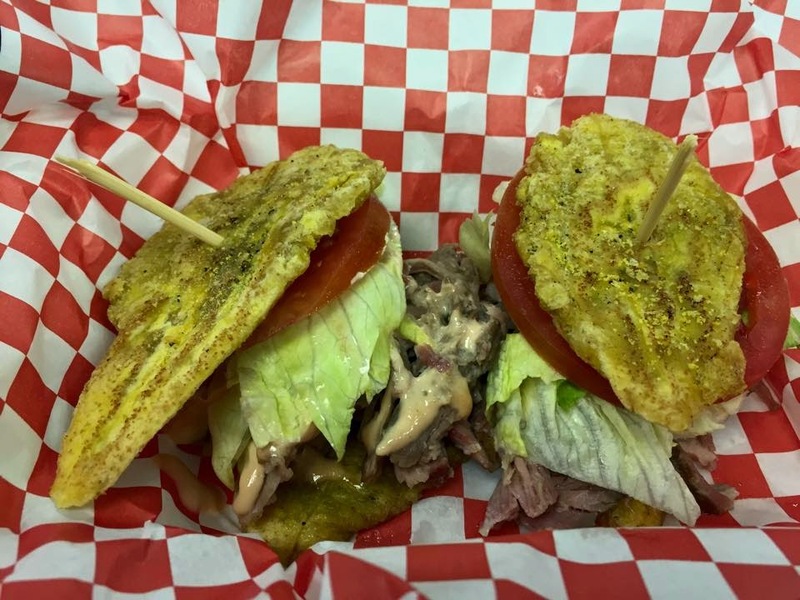 I was excited to try the new Puerto Rican truck, Latin Soul Grille! Jacksonville is in serious need of Puerto Rican food, and I'm happy to say that they are a step in the right direction! I am a big fan of the Jibarito thanks to Gourmet Aviator, so I was thrilled to see one on their menu. I got the Pork Jibarito with chips. I do have to mention that the chips were a bag of chips, not homemade like I thought they would be. The sandwich, however, was amazing! It was actually 2 sliders, but that is just fine with me. The pork had a ridiculously good flavor and the tostones had really tasty seasoning. I also tried the Yellow Rice with Gandules and the Tostones. While the tostones were delicious, the rice was a little underwhelming. It was good, but I wanted more flavor. It was a little too bland for me, but maybe I caught them on an off day. If you like Puerto Rican or Latin food, give them a shot! They are very authentic and absolutely delicious! They are a great addition to the food truck scene and I hope they are here to stay!